A dragon float in Disney's Festival of Fantasy Parade caught fire Friday afternoon, filling the air with thick black smoke, CBS Orlando affiliate WKMG reports. 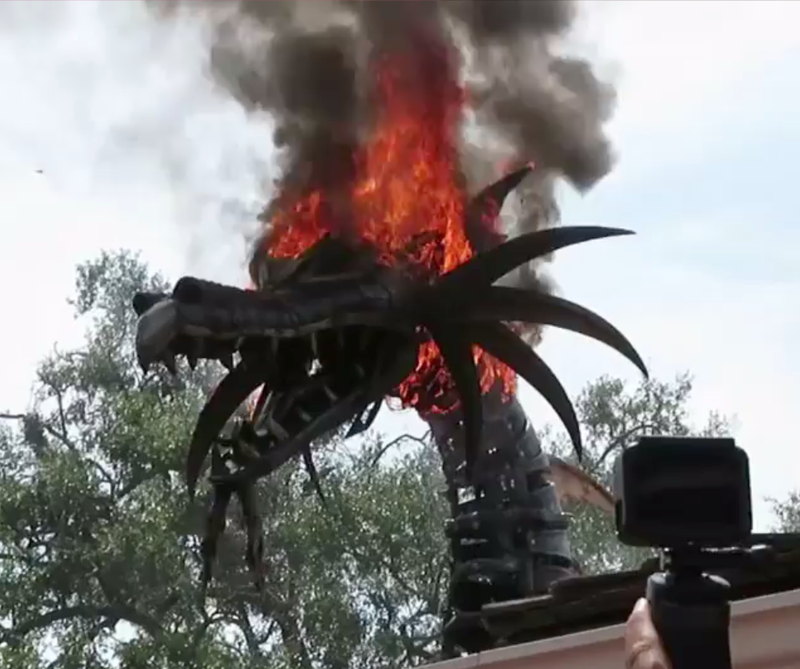 "I think we have a problem, the dragon's literally on fire," a guest says in one video. The Steampunk-style dragon -- a representation of Maleficent from "Sleeping Beauty" -- continued to lift its head up and down while engulfed in orange flames in the Magic Kingdom. A Disney employee extinguished the flames. Walt Disney World officials told WKMG no employees or guests were injured during the incident, which was quickly addressed. Disney officials said operations remained normal throughout the rest of the park, and the cause of the fire is under investigation.